Why should fingers have all the fun? 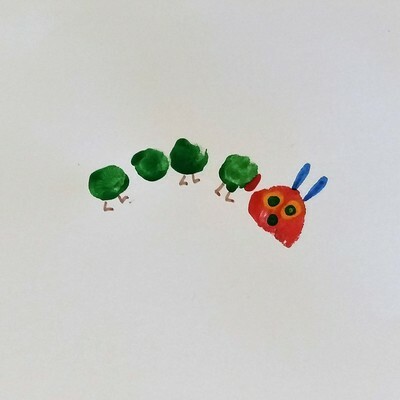 This 'The Very Hungry Caterpillar' birthday card uses toe prints to create the caterpillar. 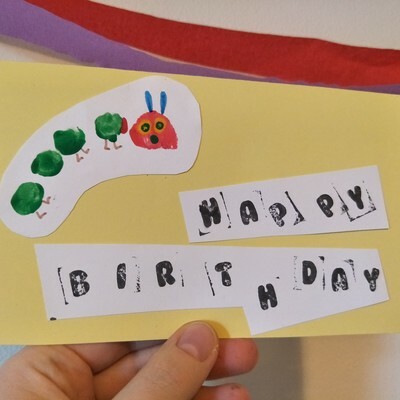 With just a little help, even the youngest of children can produce this great looking birthday card. 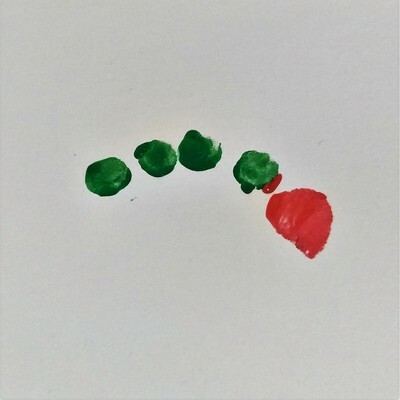 Using a paint brush, paint the bottom of a big toe red, and the bottom of the remaining four toes green. 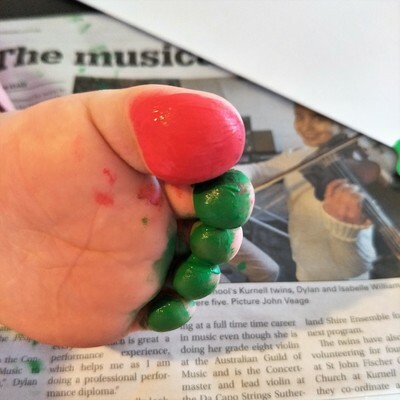 Use plenty of paint so the paint won't dry out and the print will be strong. When the toe print is dry (a hairdryer can speed things up), use the brown felt-pen to draw legs and the blue felt-pen to draw antennae. Use a cotton bud to print two yellow eyes. Use a cotton bud to print a green mouth and green pupils for the eyes. 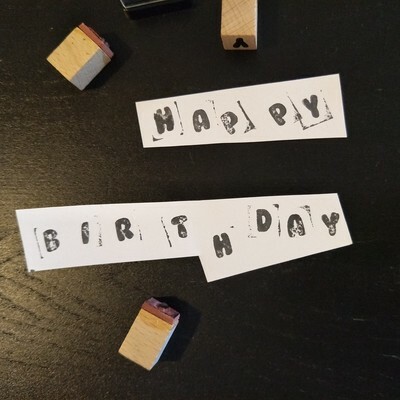 Print out "Happy Birthday" using the alphabet stamps. Fold a piece of card to make a birthday card. Make sure it will fit in an envelope if you are using one. 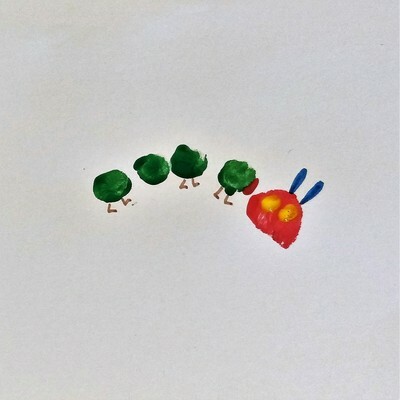 Cut out the Hungry Caterpillar and the "Happy Birthday" message. Arrange and glue on the card.